Take a piece of moon rock, one of the rarest in the universe. Only a hundred or so lunar meteorites have ever been found. This one is called Dhofar 457, named after the southernmost region of the Sultanate of Oman, on the border with Yemen. Its journey began some three thousand years ago, when it was ejected from the Moon. After a galactic odyssey over a distance of more than 380,000 kilometres through the cosmos, it finally came to rest on the dunes in the Dhofar desert, where it was discovered by meteorite hunter Luc Labenne – his first ever moon rock find. 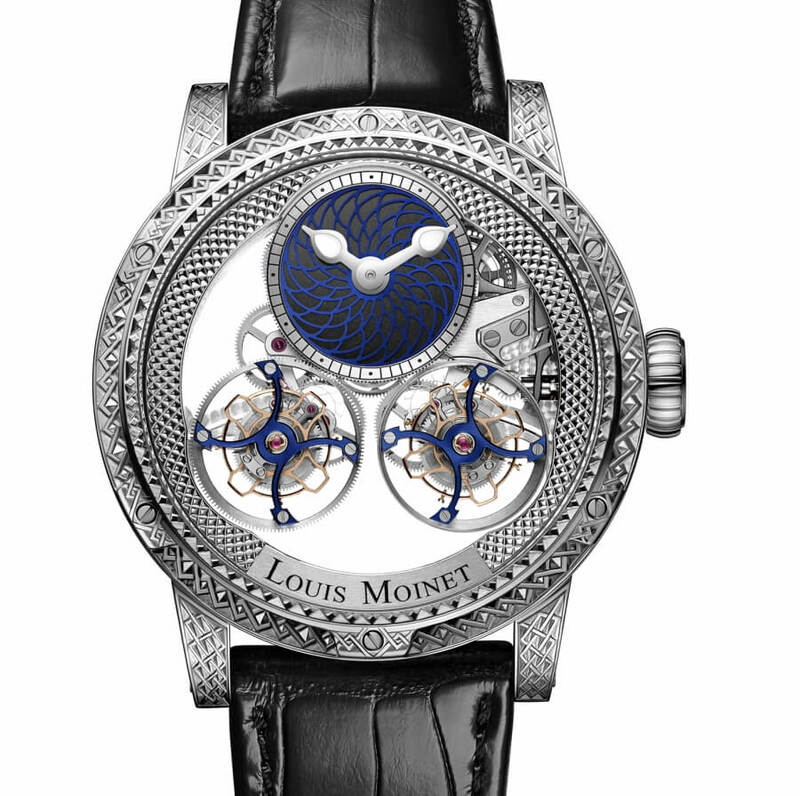 Now, Louis Moinet has made it into a watch, with an outstanding dial cut from a fragment of this lunar meteorite. Then too, take a piece of Acasta gneiss – a rock that has had to withstand the forces of erosion and tectonics for four billion years. It’s a fragment of the early earth’s crust, preserved intact ever since. 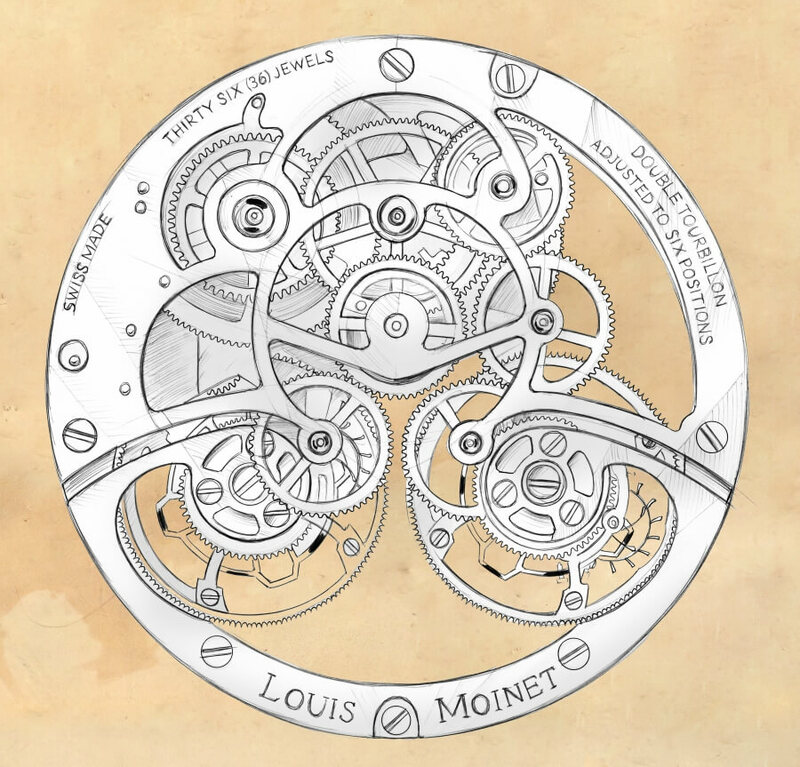 Today, thanks to Louis Moinet, Acasta too has become an outstanding dial on which to display the time. 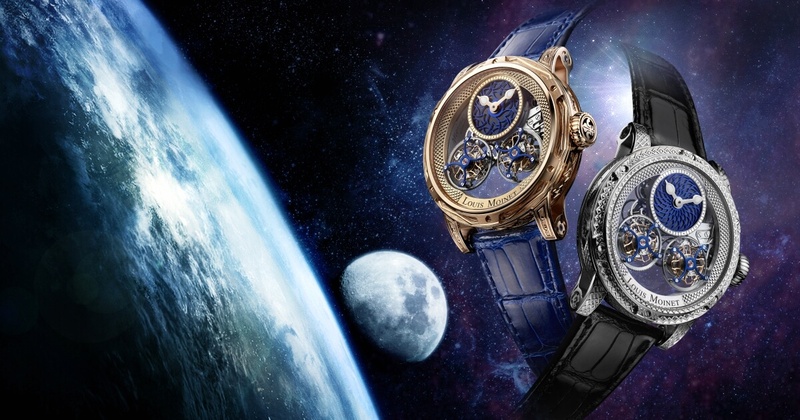 These two exceptional timepieces share the same movement, exclusive to Louis Moinet. 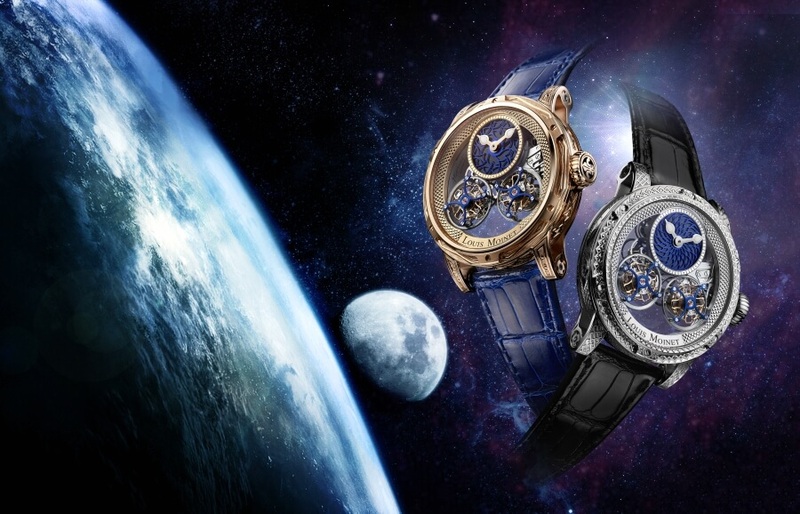 Suspended in mid-air, the two tourbillon cages weigh a mere 0.4 grammes each, but nonetheless generate enough energy to power a rotating disc – made from blue-tinted titanium and featuring openwork arabesque patterns – placed atop of each of the pieces, adding a further touch of mystery. 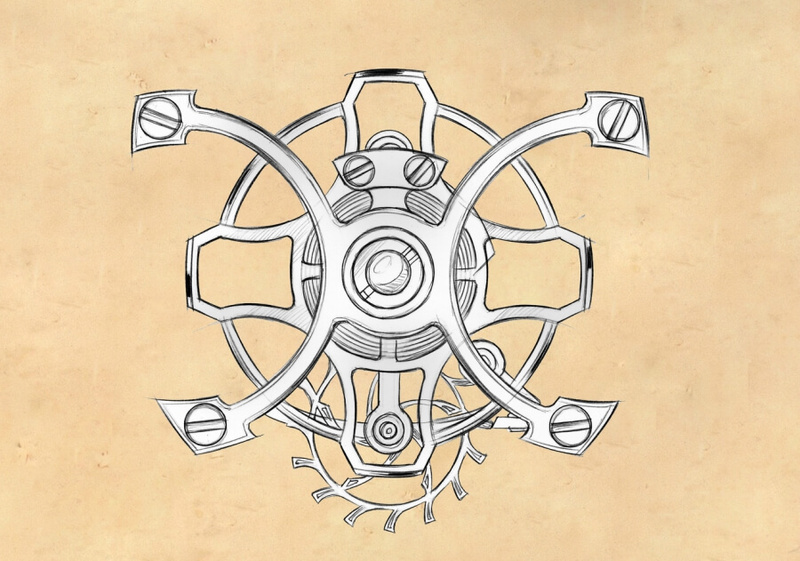 The two tourbillons rotate in opposite directions – a first in watchmaking. The diameter of each of the cages is 14.9 millimetres, making them the largest double tourbillons in the world. Raised 1.75 millimetres above the dial, their blue-tinted titanium upper bridges gleam in mid-air, with the mechanism’s openwork finish delivering the ultimate in refinement. The concept of these exceptional timepieces highlights the power of nature – gracefully expressed thanks to an artful human touch. The avant-garde cases of the Acasta and the Dhofar feature an all-new, intricate design. The two openwork side bridges are crafted from blocks of solid gold, while the 5N rose gold case is fully hand-engraved. Just three Acasta watches and three Dhofar watches will be available. 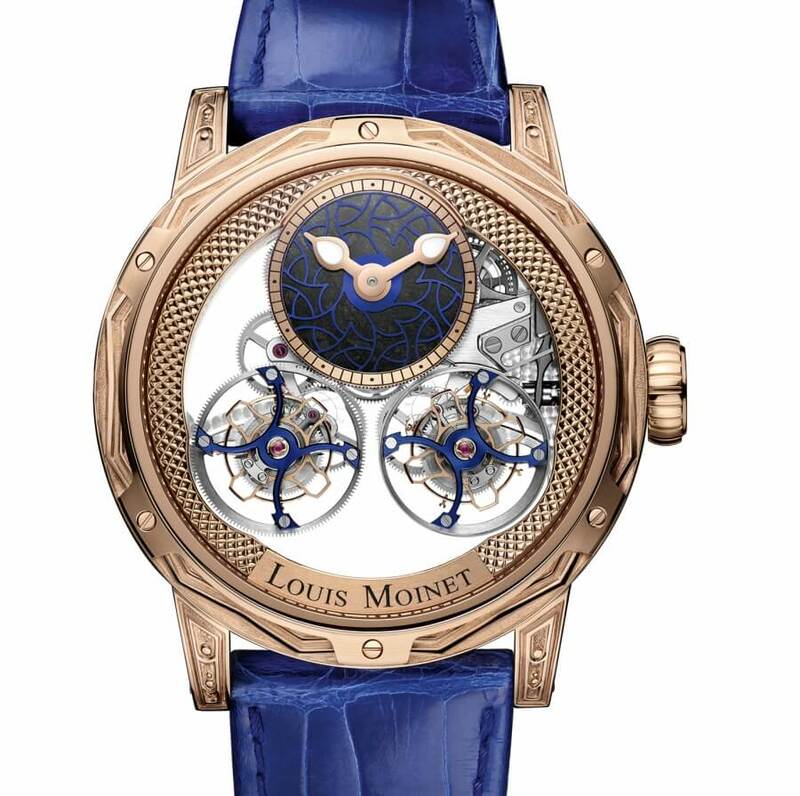 For more visit Louis Moinet Online.